Back in September of last year, Nest announced its first smart doorbell. When it would actually ship, however, was left sort of up in the air; all the company said at the time was to expect it sometime in Q1 of 2018. Turns out, that means today. The Nest doorbell — or the Nest Hello, as it’s known — is now shipping for $229. They’re now making external, wireless, battery-powered temperature sensors for the Nest Thermostat (previously, the thermostat only really cared about the temperature of whichever room it was in). You can add up to six sensors. One sensor will cost $39, or a three pack goes for $99. 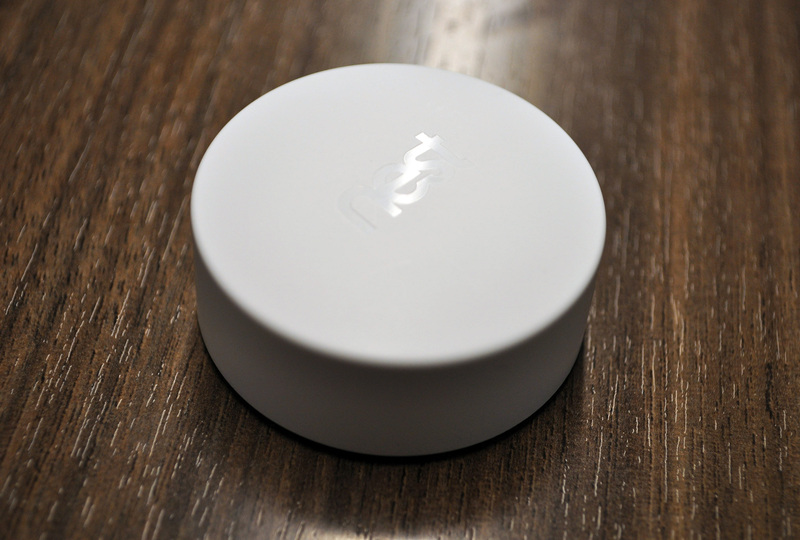 The sensor (pictured at the bottom of this post) is a simple white puck, just a bit over an inch wide. Not unlike the now Amazon-owned Ring, the Hello’s primary purpose is to let you know when someone rings the doorbell, and to let you see and communicate with them by way of the built-in camera/microphone/speaker rig. Out of the box, sans subscriptions, Nest will store the video of who rang your doorbell for 3 hours; if you want to access it beyond that, you’ll need a monthly Nest Aware subscription. In most cases, hooking up the Hello should be a matter of popping out your old doorbell and wiring up the new one; it pulls its power from the same wiring setup that most doorbells use, and it should play friendly with any in-door chimes you probably already have in place. Its got a 3-megapixel camera (with infrared night vision) for 1600×1200 video at 30 frames per second, a 160º field of view, and 802.11 a/b/g/n WiFi. Unlike some competitors, it doesn’t have a battery — so you’ll need that aforementioned power line. With that said, it’s got a few tricks I haven’t seen with others in the space, like a “Quiet time” mode for when you (or, say, your baby) are sleeping. It’ll still buzz your phone, but in-door chimes won’t go ringin’ away. Pre-recorded messages, meanwhile, let you communicate with delivery people and anyone else who might be hanging around your porch during those times when shouting “PLEASE LEAVE THE PACKAGE ON THE PORCH I’LL GRAB IT SHORTLY” might feel a bit weird. We should have one to check out before too long, so expect a review as soon as we’ve put it through the paces.